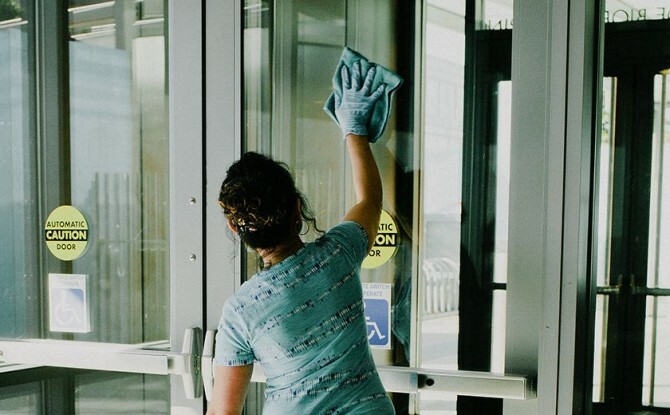 Congratulations to the folks in the housekeeping department at North Carolina State University on winning the 2015 Silver Green Cleaning Award! They are taking innovation to new lengths by seeking out the latest green products and equipment and leveraging the university’s reputation for green cleaning to do so affordably. Innovation doesn’t stop there. The department is using new and engaging approaches to train and educate staff and create enthusiasm for its healthier initiatives. At first, green cleaning “was a matter of education,” recalls Randy Reed, assistant director of university housekeeping at NC State. The department started by getting vendors on campus to educate staff on how to use new cleaning products and equipment. In 2008, Reed began his Green Cleaning Road Show, in which he travels to each housekeeping zone to conduct an in-depth training session and presentation on new green initiatives. The mobile presentation provides reminders of current practices, introduces upcoming innovations and answers questions from staff about green cleaning. Reed also shows his staff vivid photos of some of the harsher health damage caused by traditional cleaning chemicals in an effort he likens to the CDC’s graphic anti-smoking campaign. The tactic opens staff members’ minds to greener chemicals right off the bat. This year, Reed will be using his road show to speak with staff about the school’s microfiber cloth program, to which they transitioned fully this past year. Another key topic will be the school’s continued use of activated water, which is currently used to clean one-third of the campus and is expected to clean the entire campus by the end of the year. NC State has always been an early adapter to new, green cleaning technologies. In fact, the staff is currently testing out a brand-new piece of equipment that uses split-stream activated water technology to produce both a general cleaner and a (chemical-free) disinfectant. And they’re trying these items free of charge. The university has a strong relationship with its manufacturers, who understand the influence NC State has on other schools through its professional affiliations. These manufacturers are often willing to allow the cleaning department at NC State to test out new green cleaning equipment free of charge. The housekeeping department at NC State has worked diligently over the past decade to establish itself as a leader in the green cleaning world with active membership in professional associations such as ISSA and APPA and now, with a Green Cleaning Award win. The influence that comes from these associations and awards is useful when promoting healthier cleaning to the school community and among other schools. NC State is also leveraging its position as a leader to seek out innovative options for making greener, healthier cleaning choices. It’s an important reminder for schools everywhere to turn to their partners, including manufacturers, for help.